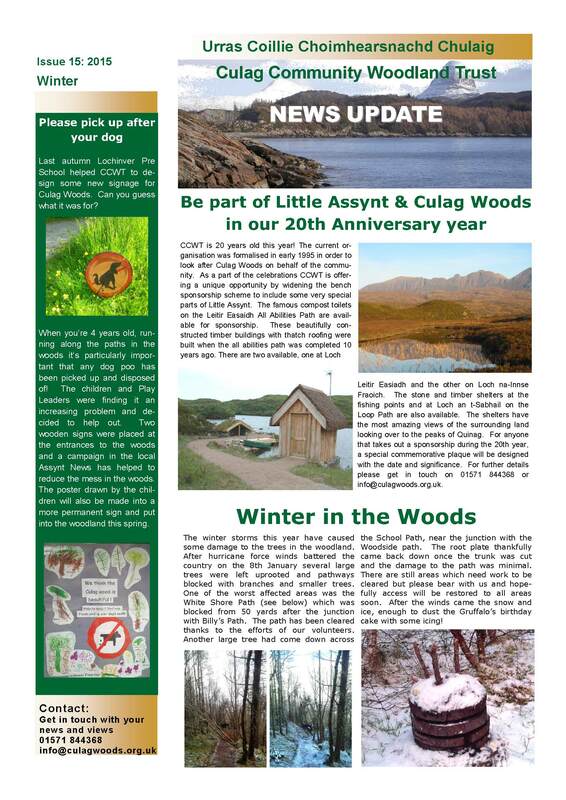 Culag Community Woodland Trust produces a regular news letter to keep you informed of what is happening in and around the woods. You will find news in brief about a range of topics, from ongoing projects and future plans, to nature notes and fun quizzes. Scroll down to the bottom of the page to find our archive of old newsletters. Our next newsletter is coming out soon, feeling creative? Email us your observations, poem, puzzle, drawing or picture to us and you may be in our next issue!